Love this song from Eurovision! I wanted Switzerland to win but Austria were also amazing! Sebastiano Paù-Lessi, better known by his stage name, Sebalter (stylised SEBalter) is a Swiss singer who was was born in Ticino in 1985. He represented his country at the Eurovision Song Contest 2014 in Copenhagen, Denmark with the song Hunter of Stars. After qualifying from the second semi-final, the song finished in 13th place at the grand final with 64 points. 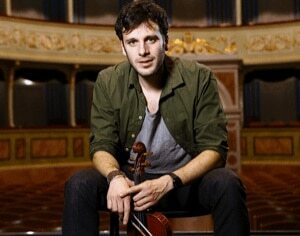 Sebalter on Last.fm.